7 Kids and Us: Chick-Fil-A's New Grilled Chicken and Giveaway! 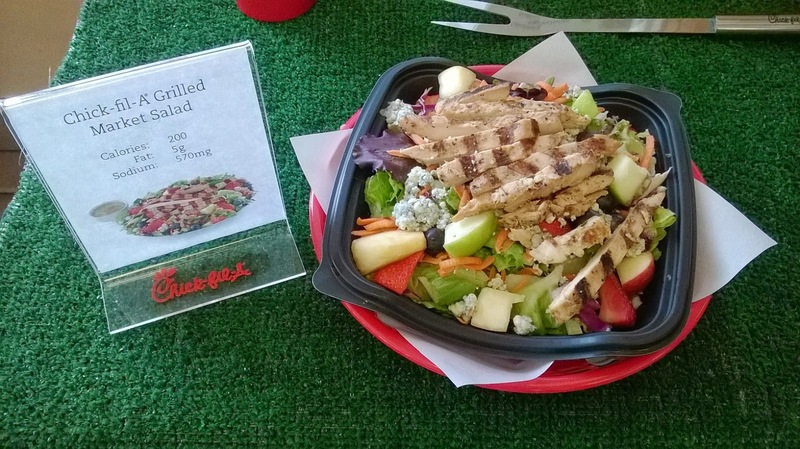 Chick-Fil-A's New Grilled Chicken and Giveaway! Recently, Casey and I were invited to try the new grilled chicken at Chick-Fil-A.We were super excited to get a tour of the kitchen and learn about how the new grill took 11 years to perfect! The all new Grilled Chicken has been marinated to hold a wonderful season of lemon, garlic, sea salt and savory herbs to take your taste buds to a whole new level. The new grilled chicken is so amazingly juicy and tender. My favorite menu item has always been the "Cool Wrap" and when I tried it with the new grilled chicken, I right away noticed the chicken was not at all bland..the kids even tried the grilled nuggets and loved them! 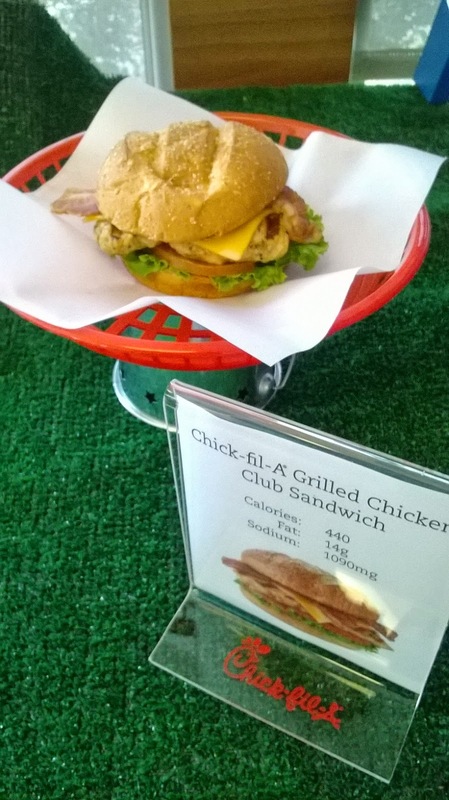 One menu item I hadn't tried before was the Chick-fil-a Club which is on a wheat bun with Colby-Jack cheese ,lettuce, tomato, applewood smoked bacon and of course a new grilled chicken breast. This sandwich is for sure a new favorite! 5 Winners will receive 1 Chick-fil-a gift card which for the months of May, June and July you will receive a product, for the month of May you get a grilled chicken sandwich for June a grilled chicken club and for July a choice of either grilled chicken sandwich. Contest open to U.S. residents only. My favorite thing to order is the spicy chicken sandwich. My kids love the chicken strips. My favorite item is a 12 ct chicken nugget with waffle fries and a large coke! I think the brownies are my favorite menu item at our local Chick fil A. They are so good! My favorite item at Chick fil A is their curly fries. I like their waffle fries and sweet tea! Babies R Us What to Expect Event! New Kiss My Face Sun Protection for Kids! Earth Day: Go Green with Jamba Juice!